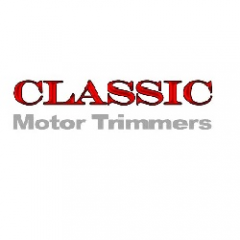 As the name of our company very clearly suggests, we at Classic Motor Trimmers are dedicated to providing you with top quality of trimming services for your vehicles. Our skilled and expert team is efficient enough to provide you with satisfactory services in the first attempt itself. For us customer satisfaction is the central goal in every service. Our team has been trained to work with all types of cars irrespective of its make and model.